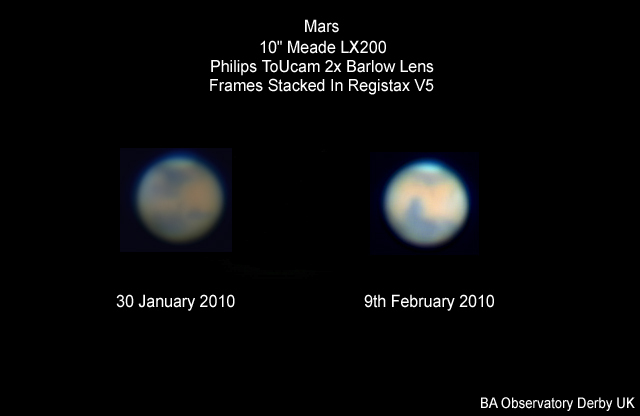 Barry Ashforth captured the following images of Mars in January, February and March 2010. The 9th February image shows the Syrtis Major region, which appears again on the 15th March with Mars showing a smaller disk. 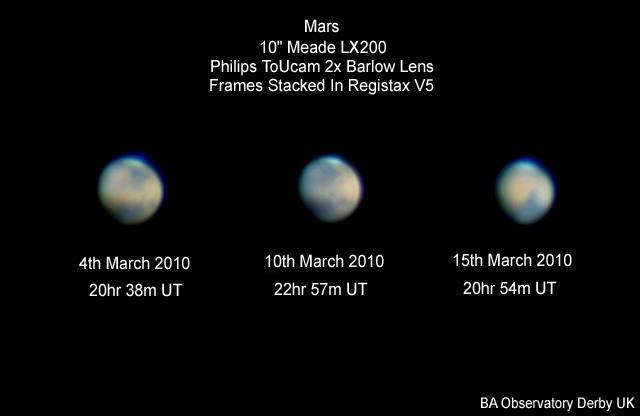 The 10th March image shows the same region as 30th January only again Mars is much smaller.